Throughout the year, President Abdel Fattah Al-Sisi’s visits to Germany, Spain, Russia, the United States, Saudi Arabia, and his meetings with the officials of various other countries have almost always included discussions of “bilateral relations” in the economic sphere. 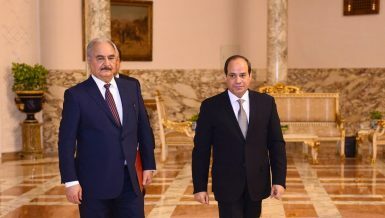 Usually, such visits and meetings were followed up by Al-Sisi encouraging officials to increase investments in Egypt. The most striking example of Al-Sisi’s call for investments is exemplified in the Sharm El-Sheikh Economic Summit. In a study concerning Multinational Corporations (MNCs) in Egypt, the Egyptian Center for Economic and Social Rights (ECESR) stated that Egypt’s legislative framework “is very indicative of its vision for investments”. The study added that it is also indicative of global investment trends, rather than local ones alone. The study stated that Egypt’s investment regime does not place legal restrictions on foreign investors regarding the transfer of profits outside Egypt, nor does it stipulate that investors should reinvest parts of their profits in the country. Most investors thus have untaxed freedom to transfer all profits. The state as a regulator has been decreasingly active, and current laws do not differentiate “between an investor with an activity of a productive nature such as manufacturing, and an activity with an individualistic wealth-accumulating nature, such as financial services”, the study pointed out. Egyptian law, especially Law 8/1997, “directly denies the state of Egypt any regulative role in the economy”. According to the study, this in turn means less accountability for MNCs and no investigations for violations. The study reads that the “imbalanced Bilateral Investment Treaties (BITs) that Egypt signs on to” favour the interest of foreign investors at the expense of both state sovereignty and the general public interest. According to Dalia Moussa, a researcher on workers’ rights at the ECESR, the recent Civil Services Law, the Investment Law, and Unified Labour Law No. 12 all work to stifle workers’ movements. The Civil Services Law, which was approved by Al-Sisi last March, centralises the process of recruiting public servants, also providing them with new categorisation and a faster promotion system. Due to the absence of a parliament, Al-Sisi and the cabinet hold all legislative powers. The law divides civil service jobs into three main categories – specialised jobs, administrative and technical jobs and handicraft jobs. Civil servants for the first two categories are divided into 10 echelons each, while the third category was divided into 11. The law, which admits to “centralising” recruitment, was criticised by labour movements and syndicates, as well as the Revolutionary Socialists movement, which argued that it aims for the “liquidation of government employees”. 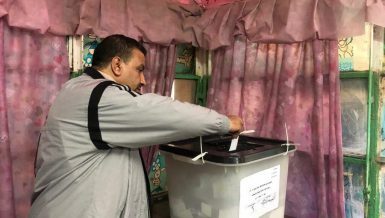 The socialist group added that the law “clearly aims for the displacement of [government] workers… who were a target since the days of the ousted Mubarak”, adding that workers were not involved in the decision making process for the law. The same concerns were echoed by the Real Estate Tax Authority Union (RETA) who said the law brings more top-down control, “giving the management the authority to do what they want with the employee”. Another possible law the labour community fear might pass is article 194 in the draft labour law, presented by the Ministry of Manpower and Immigration, which bans sit-ins within the workplace that lead to a full or partial halt in work. A campaign entitled “Towards a Fair Labour Law” has been lobbying to present an alternative law to the Ministry of Manpower’s draft, citing “unfair” articles in the current law. The group argues that the government is working to remove all obstacles to attract business “including advertising Egypt as a country that welcomes investment”. The group added that the government plans to issue a new Labour Law, which will present workers as easy bait for investors. 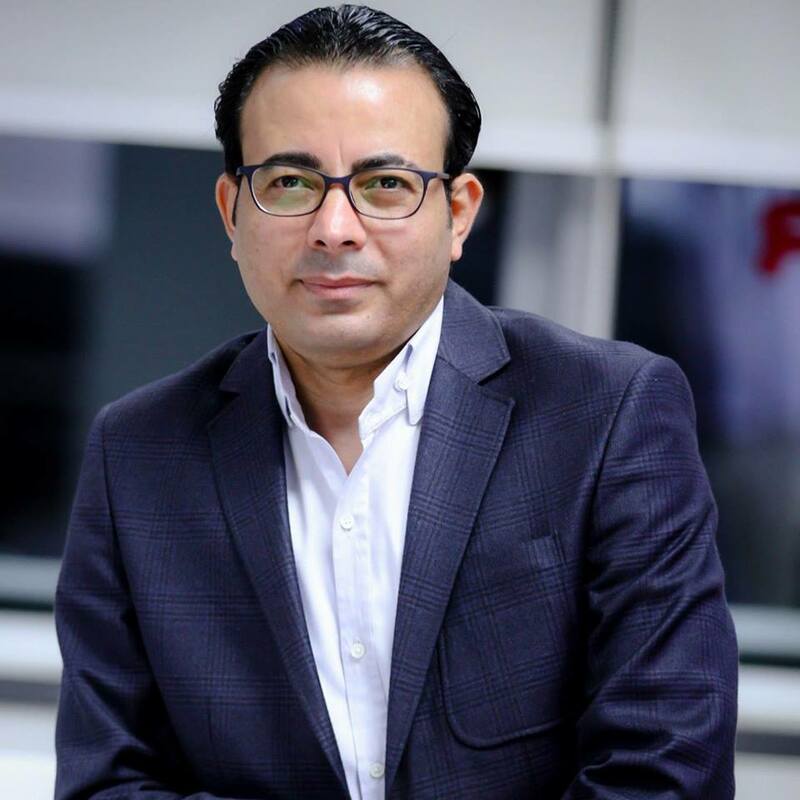 This is in line with the recent Economic Summit, which was used to promote investments in Egypt, attract foreign business and cooperation from multinational companies and investment banks, arguably at the expense of workers’ rights. “The current law aims to exploit the workers, squander their rights, and only targets the interests of businessmen, and company administrations,” the campaign said. 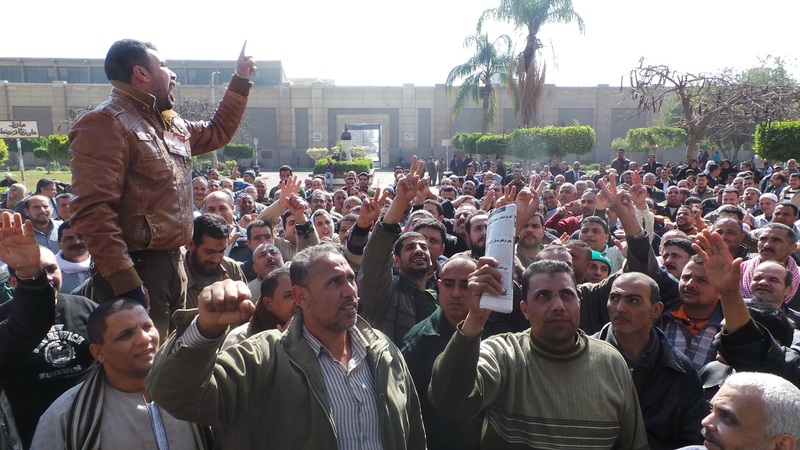 However, it was not until a High Cairo Court ruled in May 2015 that any employee proven to have participated in a strike will be forced into retirement for “delaying the interests of the public”. The court defined “striking” as any act of gathering by the workers, through which they halt all of the production process, while still being part of the workforce of the company or the institution. 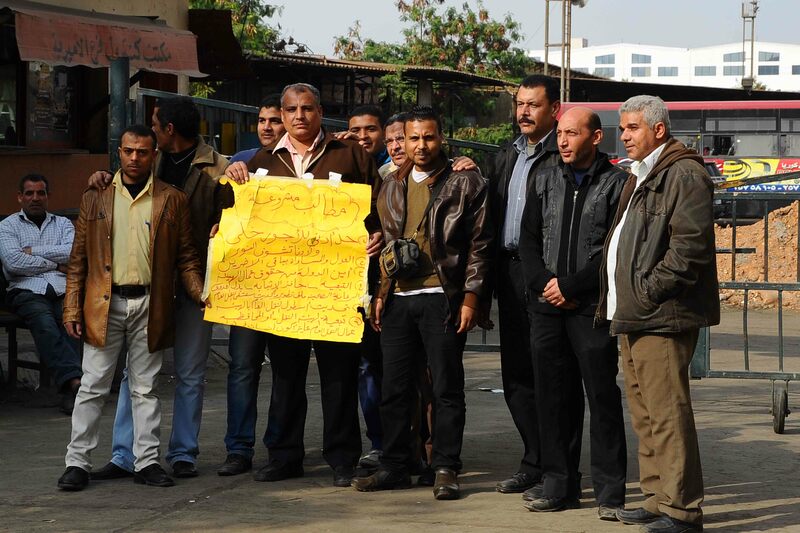 Independent labour unions are still not recognised in Egypt because of Trade Union Law 35 (1976). 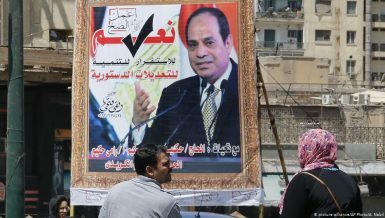 The verdict came two days after the 2015 Labour Day when the state-backed Egyptian Trade Union Federation (ETUF) presented Al-Sisi with a ‘code of conduct’ that rejects strikes, and encourages “dialogue with the government and business owners as a mechanism to achieve social justice”. 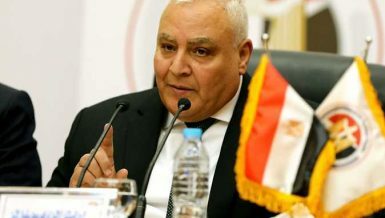 Mostafa Rustom, a member of the ETUF, said that it is “too early” to judge the state of social and economic rights during Al Sisi’s year in presidency. Rustom added that Egypt needs new syndicates and working laws, but is overall on “the track to reform”. Rustom also added that the Economic Summit “was a source of income of good for everyone”. During his speech in the Economic Summit, Al-Sisi stressed “the full care of the workers, while keeping the rights of the society in mind”. Meanwhile, the state, along with mainstream media, have repeatedly called on workers to refrain from striking and to increase “the wheels of production” in order to achieve stability and security, using nationalistic rhetoric to argue that striking “would allow terrorists to capitalise”. 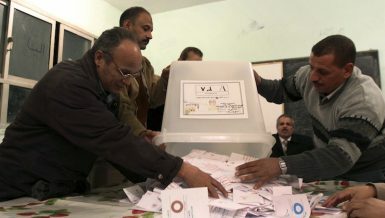 According to Rustom, workers need “a new tool for negotiations and discussions”, while strikes should be the last option. However, 2014 saw at least 1,655 labour protests and actions, as reported by the ECESR. The increased number of protests comes in the absence of an effective role of independent labour unions. According to labour lawyers, independent labour unions are still not recognised in Egypt because of Trade Union Law 35 (1976). In addition, then-minister of manpower in 2013, Khaled Al-Azhari, had advocated for a one-year ban on strikes. This call continues with the succeeding Minister of Manpower Nahed Al-Ashry, who actively opted for strike bans. Further, the controversial Protest Law, which was approved by court in November 2013, also works to restrain workers from striking. Dalia Moussa stated that policies and laws work along with repressive state action to “terrorise workers and keep them from striking”. For more than two months, workers inthe Engineering Projects Company having been protesting, demanding salaries that have been unpaid since last November. Some of the workers have been arrested and accused of illegal protesting. On 2 June, an army soldier allegedly opened fire on the workers of a military-owned cement factory in Al-Arish, killing one and injuring several others, one of the factory workers said. Daily News Egypt acquired raw footage of the solider standing on an armoured personnel carrier (APC) and firing randomly at the workers. 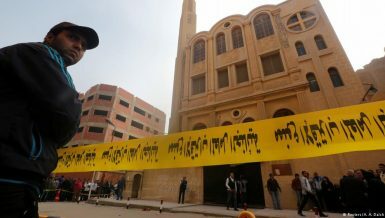 A worker in the factory told Daily News Egypt that a fellow worker, called Hesham Ramadan, was severely injured. When transferred to the factory’s clinic, he did not receive any medical assistance. As a result, “some of the workers protested in front of the administration’s offices. What followed was an army APC storming into the factory, and firing, killing one and injuring another three”. Requests for the armed forces to comment or to give more information about the incident were declined. The incident marked one of several times that Egypt’s security apparatus clashed with workers. 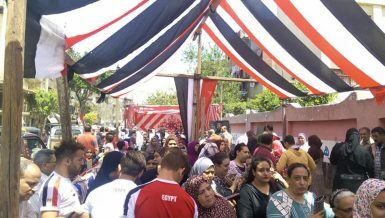 In September, police forces injured at least seven textile workers in Alexandria after a protest, according to various labour groups. Also, in certain cases, activists have been accused of supporting or inciting workers to strike, and have received prison sentences. In March 2015, Ayman Al-Fakhri, a labour activist, was handed a six-month prison sentence for allegedly “inciting workers to refrain from performing their duties and distributing literature”. Al-Fakhri was arrested during a solidarity demonstration with workers from the Egyptian Iron and Steel Company in Helwan last December. In May of the same year, four workers, including Kamal Al-Fayoumi, were suspended from the Mahallah Company for Cotton Spinning and Weaving, after being accused of inciting fellow workers to strike. Al-Fayoumi has been prominent in labour activism since 2006, and has been critical of the regimes that followed the 25 January Revolution. With Egypt aiming to attract more investment and build more national projects, the question remains as to whether or not the government’s attitude towards labour will balance between the need to industrialise and attract foreign capital and the need to provide the working class with sufficient economic rights.